For this piece I bring together strand upon strand of fine glass canes and then fuse them together so that they begin to look like a sheet of woven glass cloth. 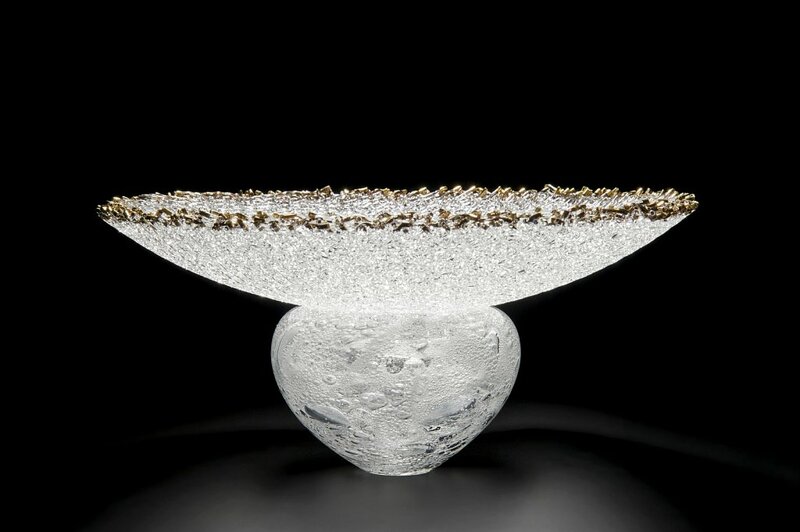 I then work with this newly made material, first shaping it and then embellishing it with 23 carat gold lustre in the heat of the kiln to create an opulent bowl. The vibrant surface of the piece moves and shimmers, exploiting texture and light in surprising ways.